Thomas Freeman Original Watercolor Painting: "Sanctuary"
This is in the bird sanctuary found in Carmel, just a few minutes from the Carmel Mission. It's a large, flat marshy area formed partly from the Carmel River flood plain. Literally thousands of waterfowl can be found here - really a delightful area. 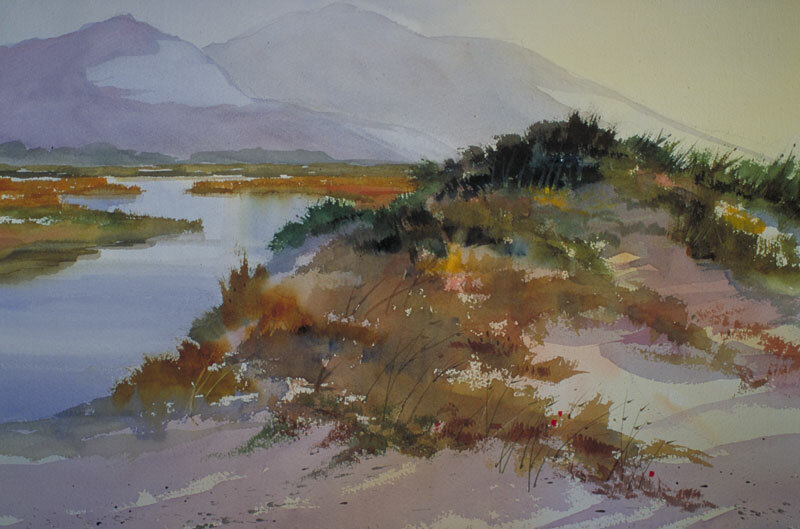 In the painting I substituted a river for the marsh to better frame the dunes.